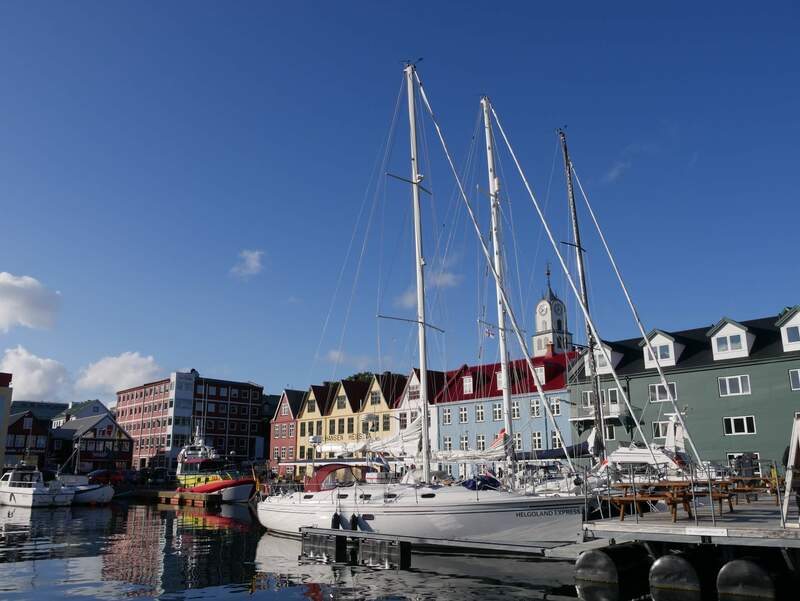 „Beautiful coastlines, magnificent fjords, offshore sailing at its best on the North Atlantic, stormy as well as calm days at sea, real adventure feeling… Last summer I joined a crew of six to sail from Reykjavik/Iceland to Bergen/Norway – an absolutely fantastic experience! My name is Yannick Kethers, I am 23 years old. 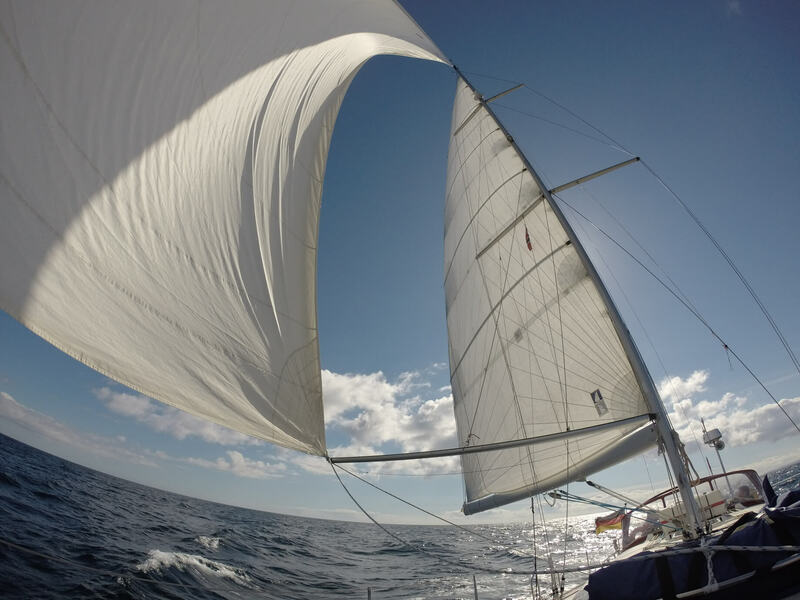 Since childhood, I have been passionate about the ocean, boats and sailing. 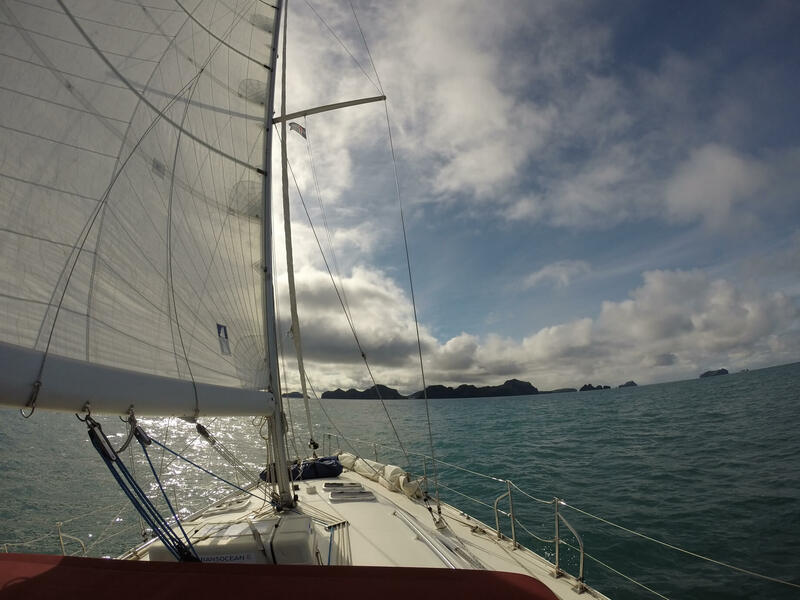 Last year I was looking for a special sailing adventure in higher latitudes. 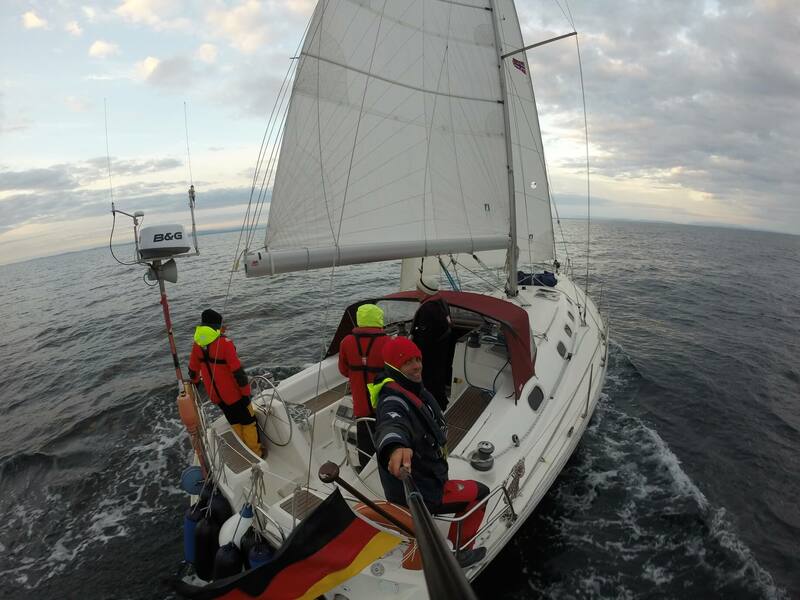 So, I decided to head to Iceland for a two-week 1000 nautical miles trip with the sailing school Yachtschule Eichler. After analyzing the weather situation, provisioning and final preparations, we cast off from Reykjavík Harbour on our 13m long yacht “Helgoland Express”. It’s a fully equipped Gib Sea 43, ready for the North Atlantic Ocean. 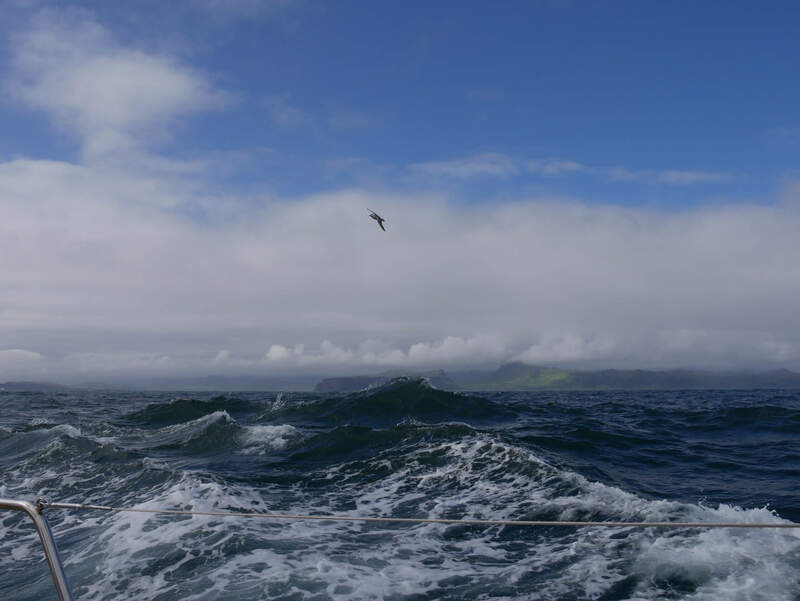 In a gentle southerly breeze, we first sailed along the coastline around the south-western corner of Iceland, the Reykjanes Peninsula. Finally, we passed Reykjanesviti – Iceland’s oldest lighthouse – at midnight. In plain daylight, of course! Experiencing the midnight sun at sea – for me was one of the most special moments of the whole trip! I sat almost the entire “bright night” in the cockpit just enjoying sailing at 2 o’clock in the morning under clear blue skies – simply unforgettable. Some 24 hours after having left Reykjavík, we arrived at the Vestmannaeyjar Islands. We had been keeping an eye on the weather charts and a quickly approaching low-pressure system with +45 knots of wind. We decided to hide in the well-protected port of Heimaey. The scenery around this archipelago located off the southern coast of Iceland is amazing. I recommend climbing the “Eldfell” volcano as we did. 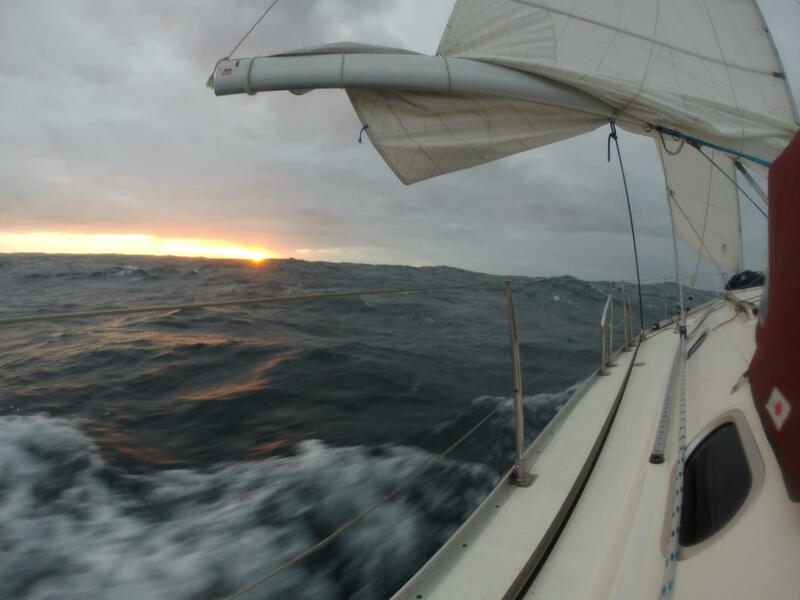 Once the storm had passed and we found a suitable weather-window for the 3-day crossing, it was time to set off for the 380 nautical miles passage to the Faroe Islands. 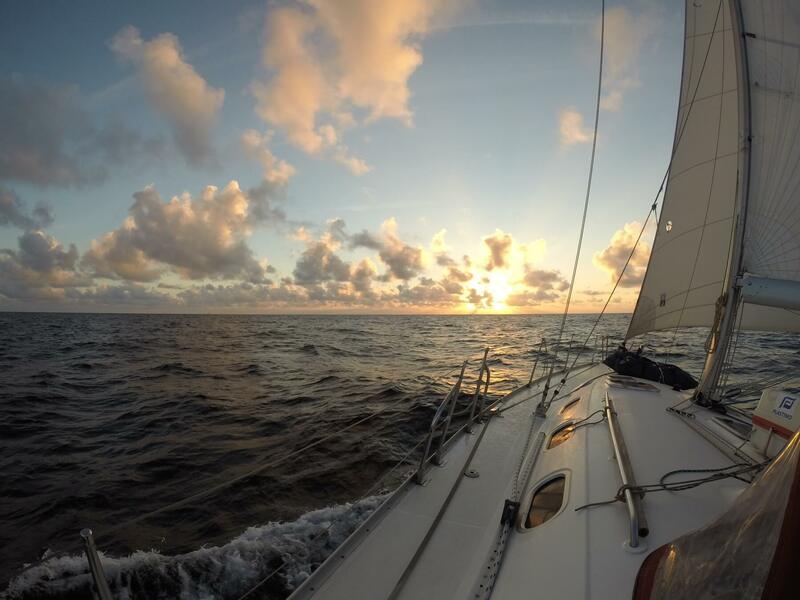 For sailors, the weather very often dictates departure times, isn’t it? The passage itself was exciting and quite fast with favorable winds and “Helgoland Express” surfing down the Atlantic swell. 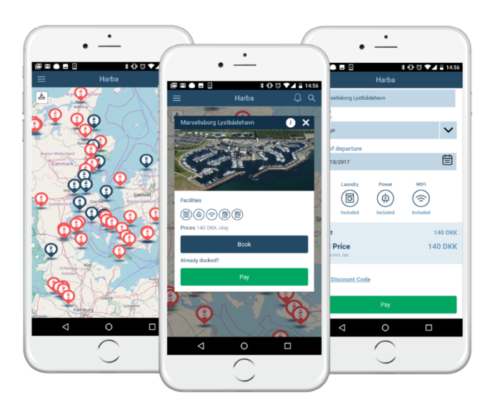 While sailing in these latitudes of around 63° north, it has proven essential to check the weather forecast regularly and analyse routing options carefully. In the end, the sea area between Iceland and Norway felt at times like the northern hemisphere version of the Southern Ocean for me. Even during summer months, Atlantic lows crossing this zone approach rapidly. 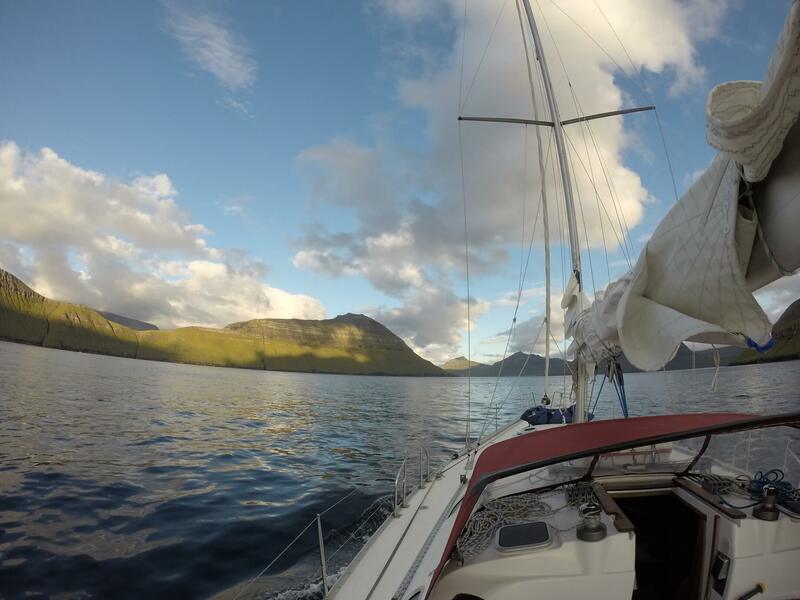 Navigating through the fjords of the Faroe Islands was fantastic. Green mountains surrounding our boat, pure nature, fresh air, tranquility. 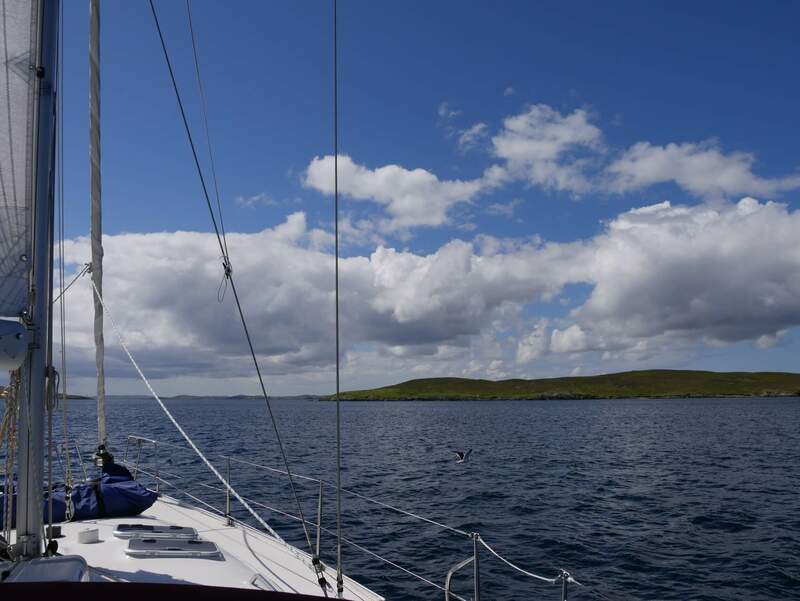 The Shetland Islands, our next stop 200 nm further east, appeared fairly similar. Though, they were less mountainous and with stronger tidal currents around the islands, which must be considered in the passage plan. The last leg to our destination Bergen offered perfect sailing conditions. Time to unfurl the large genoa, hoist the full main and head east until the Norwegian coastline came into sight! 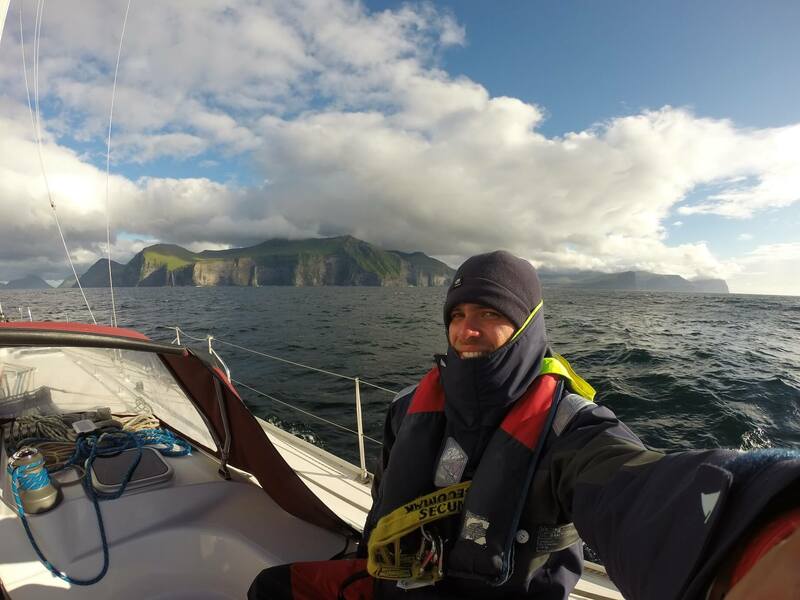 Learn more about Yannick and his sailing trips on his Blog, Instagram or Facebook!